EXETER’S Tom Lammonby walked off with the top prize at the Devon Cricket Board’s awards evening. The Buller Bowl is awarded to the young cricketer who has made an outstanding contribution to cricket in Devon over the previous 12 months. Lammonby, on Somerset’s staff and part of the England Young Lions squad, met the criterion. Sandy Allen, Devon’s newly appointed pathway manager, handed over the award as the last act of the night in the main function suite at Sandy Park. Allen said there was no doubt Lammonby, who was 17 during the season, had been the outstanding achiever of the year. Before he handed over the trophy, Allen said Lammonby was following in some illustrious footsteps. “There have been some fantastic winners who have picked up the trophy, such as Heather Knight, the England women’s captain, Lewis Gregory, Craig and Jamie Overton, and Dom Bess, who won it last year,” said Allen. “He is a member of the Somerset Academy and has played for the England Young Lions – he was man of the series against India – and he has just been selected to go to Spain on the England Young Lions tour. Lammonby, an A-level student at Exeter School, is due to spend four days at the Desert Springs training centre in Spain next month as part of the Young Lions preparations for the Under19 World Cup in New Zealand next year. Nearly 300 people – players, friends and parents – packed the functions suite at Exeter Chiefs’ stadium for the presentations. 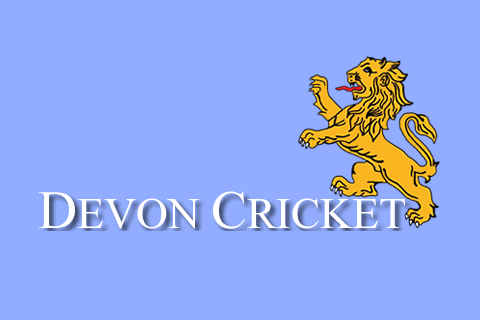 All sections of Devon cricket were represented, from the Under-10 boys, through ladies and girls’ cricket up to the Devon Minor Counties side. Honeymooning county captain Josh Bess from Sidmouth was named player of the year. Brother Zac, last year’s winner, collected the trophy on his behalf. 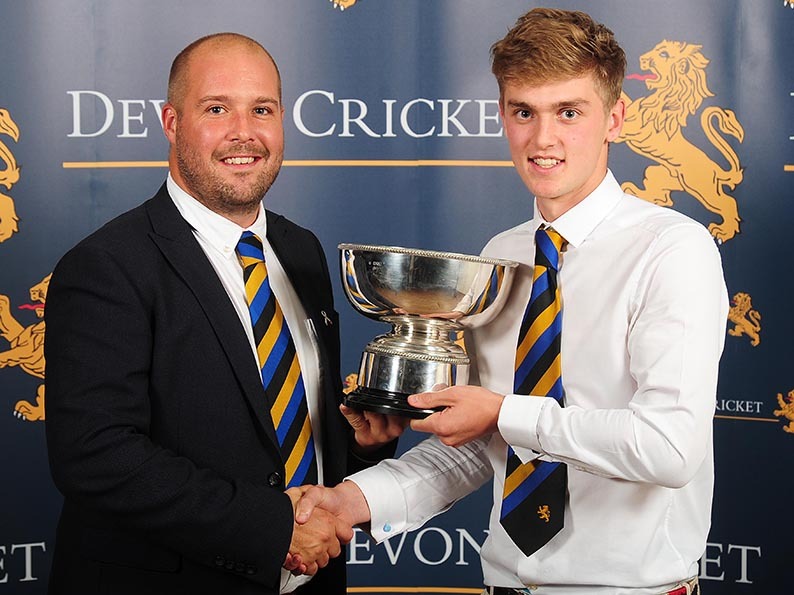 Matt Skeemer, the young Cornwood all-rounder, was the Devon Lions player of the year. Work commitments prevented him attending. Mark Tyler, the former television presenter compared the event, assisted by Exeter Chiefs scrum-half Jack Maunder. Maunder, a former Blundell’s School pupil, played county age-group cricket for Devon, touring South Africa in 2011 with the Under-15 squad. Maunder was good enough to train with Nottinghamshire, but when the time came to chose between cricket and rugby he opted for the latter. It was probably the right decision as England came calling for Maunder last summer for the tour to Argentina. He made is Test debut as a second-half replacement in the first Test in Buenos Aires. Under-10s: District winners: South; batter: Oli Gribble (Exeter); bowler: Freddie Bucknell (Heathcoat); Player of the year: Seb Linnitt (Shaldon). Sally Ashman Cup: Will Popham (North Devon). Under-12s: District Cup winners: North; batter: Lawrence Walker (Ottery St Mary); bowler: Jacob Kopparambil (Ivybridge); player of the year: Alec Holifield (Exeter). Under-13s: District Cup winners: South; batter: Ciaran Gray (Yelverton); bowler: Rory Medlock (Paignton); player of the year: Jasper Presswell (Hatherleigh). Under-14s: District Cup winners: South; batter: Eliot Hamilton (Plympton); bowler: Sonny Baker (Torquay); player of the year: Sonny Baker (Torquay). Under-15 Girls: District Cup winners: East; batter: Olivia Churcher (Kingsbridge); bowler: Katie Donovan (Clyst St George); player of the year: Becca Halliday (Plympton). Amara Carr; players’ player: Milly Squire (Filleigh). Bryan Hayter Award: Mrs Elizabeth Webb (scorer, Devon U16s & U17s). Under-15s: District Cup winners: East; batter: Abraham Kopparambil (Ivybridge); bowler: Sam Read (Clyst St George); player of the year: Jack Moore (Barnstaple). 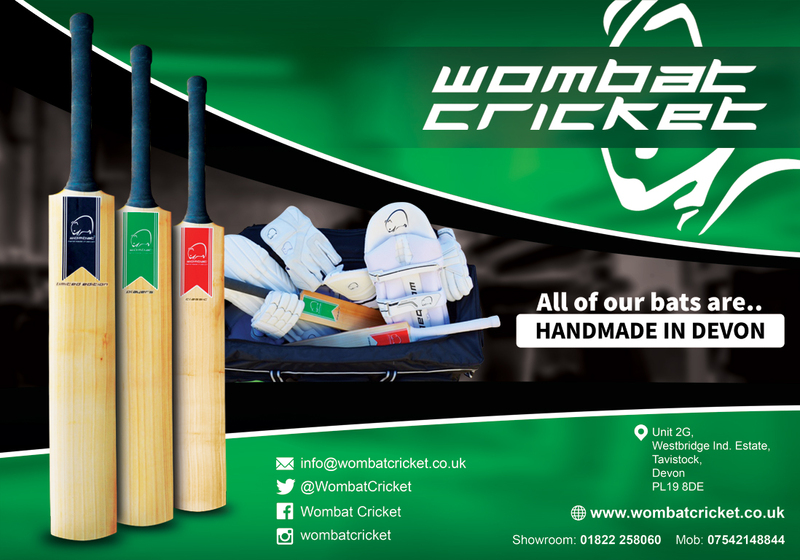 Under-17s: Batsman: Jamie Khan (Exeter); bowler: Jack Gibbs (North Devon); player of the year: Jack Gibbs (North Devon). Devon Lions: player of the year: Matt Skeemer (Cornwood). Buller Bowl: Tom Lammonby (Exeter).